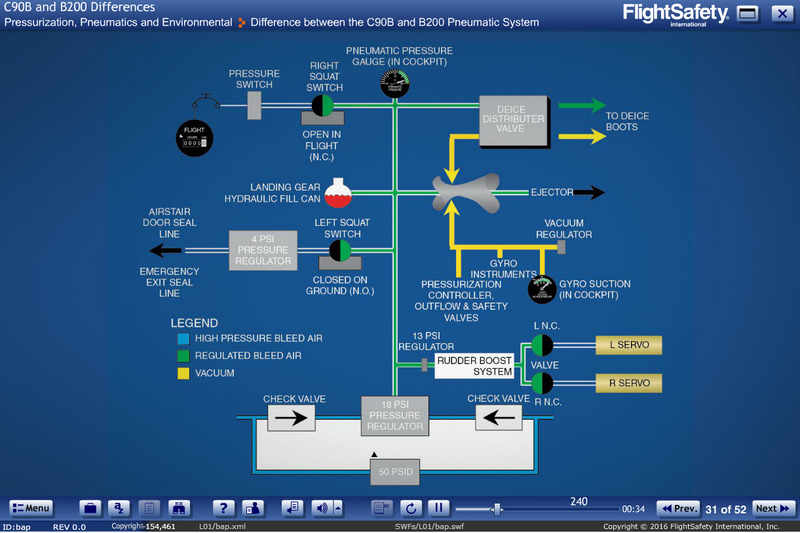 Pilots will become familiar with the systems differences between the King Air C90B and the King air B200. 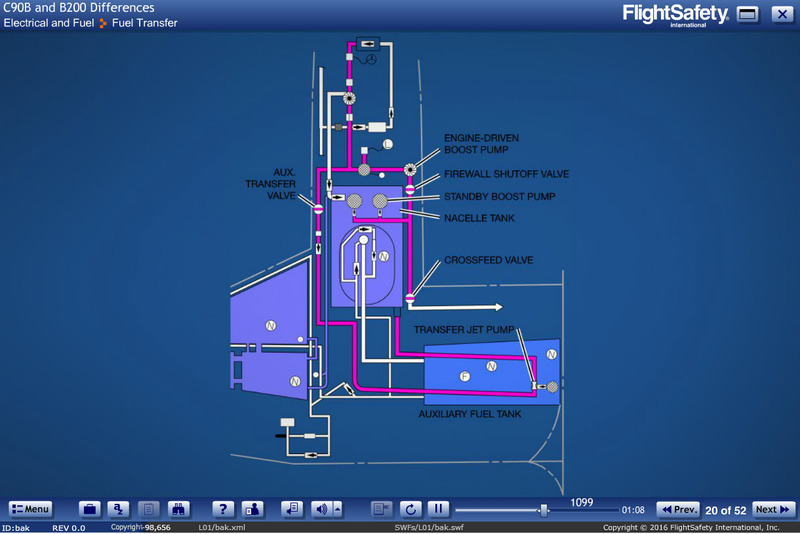 Systems differences covered include: Aircraft General, Electrical, Fuel System, Powerplant, Fire Protection, Pneumatics, Ice and Rain Protection, Air Conditioning, Pressurization, Landing Gear and Brakes, Flight Controls, Avionics & Oxygen System. 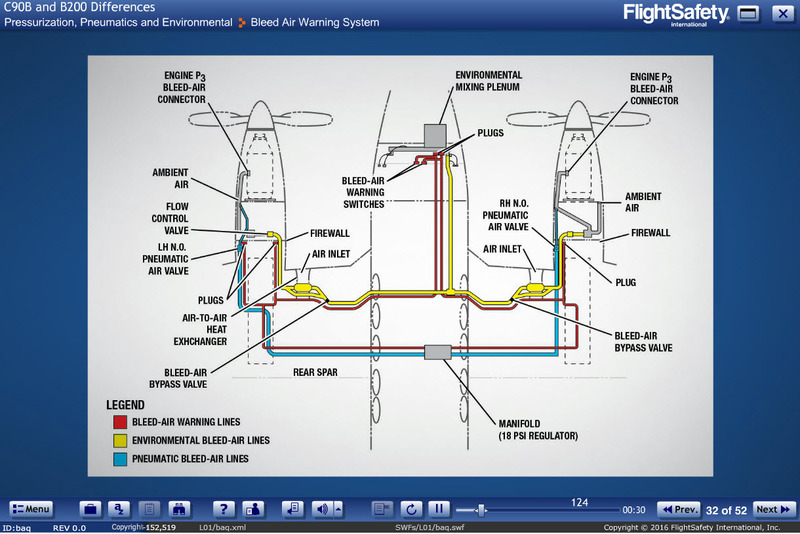 FAA-approved course. 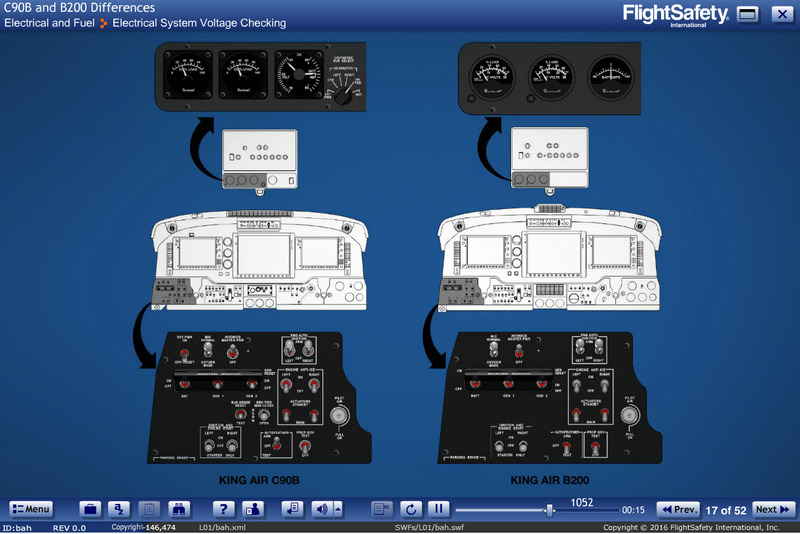 Identify and describe the differences between the King Air C90B and the King Air B200 as it relates to the systems mentioned above. Prerequisite: Completion of a FlightSafety King Air C90B Pilot Initial or Pilot Recurrent course within the prior 12 months.